Confession time - if you asked me how I’m doing right now I’d say fine, but to be honest, I’m a little stressed. I’ve got 4 AP tests, a bunch of projects, and, of course, final exams. I was talking to a friend yesterday and we laughed at how we’d both thought it would be smooth sailing after AP tests but, as always, we had managed to overschedule ourselves. In this busy time, I’m managing it all with a crap ton of deep breaths and a few tips I’ve racked up throughout my high school career. I wanted to write this post because I know there are a lot of students out there who are dealing with the same thing right now *group hug, guys*. I don’t know about you, but I’d rather get advice from someone my age who is going through the exact same thing right now than from a College Board pamphlet. I've already written a "healthy test taking tips" post but I wanted to do an updated version with more practical tips for the actual STUDYING part of it. So without further ado, here are the tips that have helped me and will (probably) help you smash your final exams. This is by far the most difficult one for me to follow. 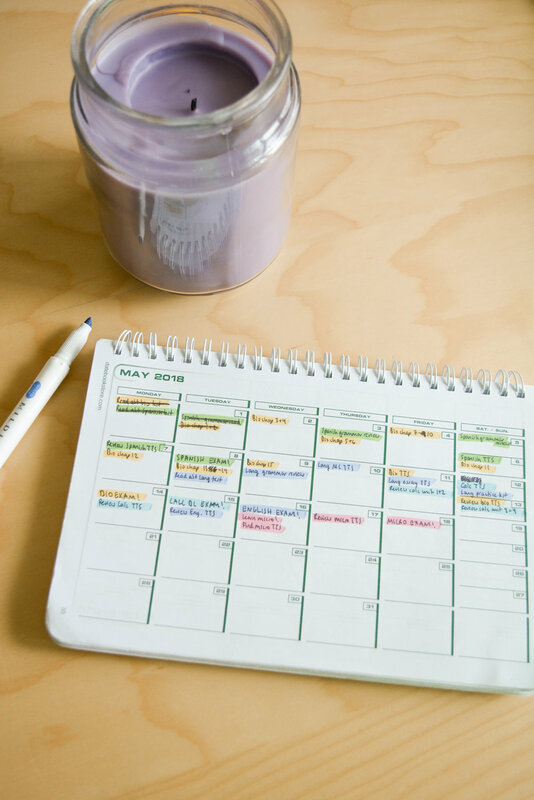 For us overachievers, life can sometimes feel like a game of Tetris with our calendars. How much can we fit in? Well, when it comes to AP exams and finals, you should feel NO guilt, absolutely ZERO guilt, about not doing everything that you would normally do. Maybe your weekly chores won’t get done, maybe you’ll fall behind on some of your habits, maybe you’ll have to say no to an opportunity. Who cares? Right now your biggest priority should be making time for studying and recovering. Now that you’ve conjured up some time for studying (as if it’s that easy to do, lol), let’s make sure you use it properly. First of all, know what you need to study for the most. I have a Calc BC exam that 40 PERCENT of people get a 5 on. What’s more, I don’t plan on going into anything math related in the future, especially not anything calculus-related. So am I stressin’ about BC? Nope. Third, find a study system that works for you and decide on it in the beginning. Will you work through a prep book like The Princeton Review or Barron’s Prep? Will you watch a course on YouTube? Will you do worksheets your teacher provides you with? Don’t be like sophomore me, preparing for the AP World test. I kept jumping from one study technique to the next (watching Crash Course, writing out a gigantic timeline, etc.) but didn’t stick with any of them for the entirety of the course. So basically, I knew the first third of world history really well, and everything after that was, well, lost to history. So the moral of the story is, do some research into different study methods before you start, pick the ones that match your learning style most closely, and stick with them. If your calendar consists solely of exam after exam, looking at it will make you feel pretty miserable. I know I said keep your calendar as clear as you can, but that doesn’t mean you should avoid fun, relaxing things. Definitely try to sprinkle in some coffee dates with friends or family movie nights here and there, because you NEED to have things to look forward to to get you through the hard parts. So, a personal example. Looking at my calendar, next week is going to be pretty crazy for me. AP tests, video editing, planning a banquet, a fundraiser, etc. But you know what I also see? I see that on Friday, after our last AP test, my friends and I are skipping school (hehe) and going out for ice cream and bubble tea. That weekend, BTS is also releasing a new album and performing on the BBMAs, and I’m baking brownies for a school fundraiser. So if I focus on all of that, I actually feel… excited for a week full of AP tests? Crazy, right? Schedule these things in just like you would schedule study time. And when you’re knees deep in Taylor series and the steps of the citric acid cycle, just think of the fun things that are waiting for you just around the corner. Planning rewards doesn’t mean that you should plan everything fun for AFTER AP tests. You don’t want to show up to your tests mentally and emotionally drained because you did nothing but study and work for the past two weeks. You need to schedule time to relax BEFORE your tests so that you can get re-energized and show up to your tests feeling strong and confident af. Another personal example - Mother’s Day is right before AP tests, so you had better believe I’ll be spending some quality time with my family, even though the AP Bio test is the next day. In your studying, the last thing you want to do is feel LOST, okay? If you feel lost, you won’t know where to start, which subject to crack open the books for, which concepts to review, etc. That’s not a great use of your time. You need to make a schedule. This is especially useful and simple if you are using a prep book. You can just write down which chapters you want to go through and when. For example, with my Princeton Review books I made a schedule with tasks like “read through AP Bio test taking strategies”, “take AP Lang practice test”, “review AP Bio chapters 7 and 8”, etc. Now, don’t beat yourself up if you get off track. Be kind and gentle with yourself, because if there’s any time of the year when you really need that, it’s final exam season. Just accept, reschedule, pare down your plans, and move on. First and foremost, sleep, glorious sleep, will be your best friend. You can’t underestimate the power of feeling well-rested. Maybe you’re tempted to stay up late cramming or maybe even doing homework assignments for other classes. I say, screw that. You already know a lot, and your teachers for other classes can most likely wait. Get yourself to bed ASAP (but maybe not until after a relaxing bedtime routine). If you are used to drinking coffee in the morning, well then go right ahead. If you’re not, you might find the energy boost useful, but I would recommend doing a test run to see how it affects you. Does it make you jittery to the point where you can’t focus? Then maybe stay away from it. Keep a water bottle to sip on but if you’re like me and usually go hard with hydration in the mornings, tone it down a little bit. Whatever you are drinking, don’t overdo it. You don’t want to have to run to the bathroom in the middle of the test. Eat a biiig breakfast. I normally need to snack mid-morning but before my AP Spanish test, I ate such a yummy and filling breakfast that I skipped my snack and wasn’t even hungry at lunchtime. That does NOT mean overeat to the point where you feel sick during your exam, but just make smart food choices. You don’t need a sudden hit of energy, you need some slow and steady fuel, so go for complex carbohydrates. Try some rolled or steel-cut oats, or some toasted dense bread. And don’t forget about protein and fats to keep you full! Eggs, avocado, nuts, etc. are all great. Wear comfortable clothes. Fashion should be the last thing on your mind. You have full permission to wear whatever ugly sweatpants and t-shirts you feel most comfortable in. And don’t forget to bring layers. The testing rooms can get COLD. If you’re taking an AP exam or a long final and you get a break, use that break to the max. Don’t obsess over whichever section of the test you just took, or try to compare answers with friends (in fact, DON’T, because that’s against the rules for APs). Just breathe, smile, try to move around to get the blood flowing, high five your friends, eat your snack, and get yourself pumped up. I wish I could say - “follow these tips and you are guaranteed to get a 5 on your exam!” That would be a killer hook, though, wouldn't it? But in all honesty, these tips don’t guarantee anything. Your score will depend on how well you prepared during the year, how hard you studied in the weeks leading up to the exam, how naturally the subject matter comes to you, and a whole range of other variables. Rather, think of these tips as the scaffolding onto which you can add flashcards, prep books, and group study sessions. They will help keep you happy and healthy throughout the whole dreadful exam process. And with that solid foundation, well, you can achieve anything. What exams are you getting ready for right now? Ah autumn… Colorful leaves, carved pumpkins, pumpkin spice lattes, and standardized tests. Now that the school year is upon us, so are exams. Quizzes, tests, final exams, SATs, ACTs, PSATs, SAT subject tests (I swear they just make more tests to torture students). Personally, I’ve got my PSAT on October 14th and my first ACT on the 28th. So far, I’m not really worried, but I think that might just be because I’ve never taken these tests before and I really have no idea what to expect. I suspect the anxiety will build as they get closer. So that’s exactly why I wrote this post! I want to help my fellow students cope with the challenges of test-taking in a healthy way. So that means (ideally): no all-nighters, no junk food study snacks, no skipping breakfast, and no negative attitudes (“I’m gonna fail this class and be a failure for the rest of my life”) :) None o’ that. We already know that everything seems to work better when you’re properly hydrated. Your brain is NOT an exception. In a study, students who had a drink while they were in the testing room did up to 10% better on their exam! (source). Bring a water bottle with you (make sure it’s allowed) and sip on it throughout the test. Not only will it keep you hydrated, the act of drinking water will give you a nice little brain break that just might give you an aha! moment. Drink some water beforehand, too, but make sure you don’t drink too much too soon. You know what that means - you’ll have to go to the bathroom. You want to avoid distractions like that at all costs. I would stop drinking water about an hour before, use the bathroom before the test, and then sip during it. Whole milk yogurt with almond butter, pear, and hemp seeds. Again, make sure that this is allowed by your testing center. If you are allowed a break, make sure you bring something that will actually help you on the second half of the test, not hurt you. Sugary foods will give you a spike in energy and then a crash, which is a definite no-no. 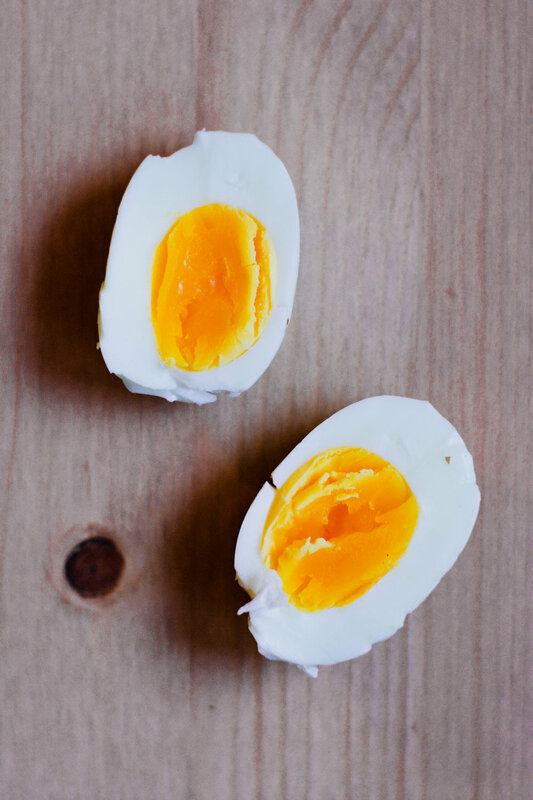 Fill up on fats and proteins instead. Care.com has some good ideas, including greek yogurt with fruit and hardboiled eggs. I know that might sound a little boring, but you’re not going for Instagrammable meals here. In this instance, food is truly your fuel. You are setting yourself up for failure if you stay up late into the night trying to absorb last-minute material. I’ve been there. I’m generally not super great on low sleep and I find that the next day, mentally, I am in another world. I feel like I’m phasing in and out of consciousness, especially after lunch when that sleepiness really hits. It’s better to cut your losses and accept that you won’t know some of the material than to get so little sleep that you can’t even perform well on the material you know like the back of your hand. So whip out your extra-relaxing bedtime routine, dab some lavender essential oil on your pillow, listen to some soothing music, and sleep like a baby. Just don’t sleep too much! You know that feeling when you sleep in wayyy too late? Not good either. As with anything, it’s all about the balance. Okay, essential oils are just so cool. There aren’t many situations for which you can’t whip up a helpful blend. 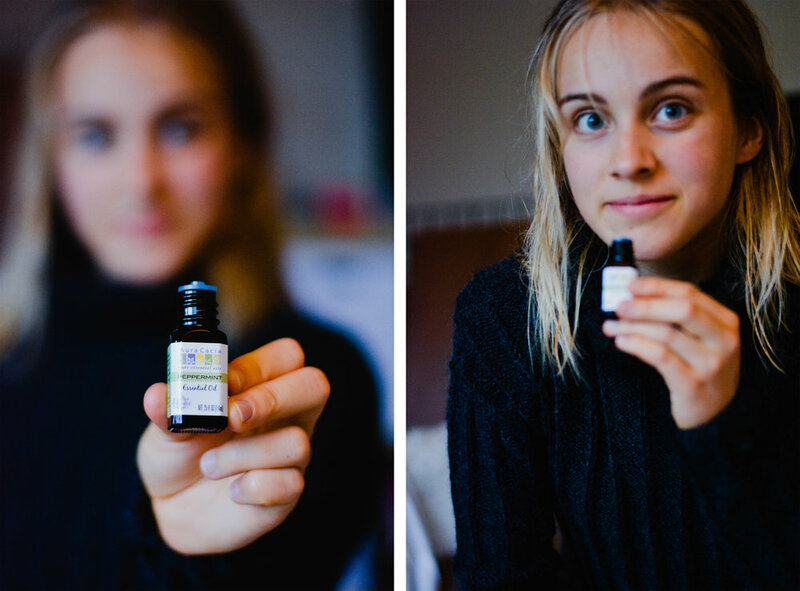 In The Complete Book of Essential Oils and Aromatherapy, Valerie Ann Worwood recommends a blend of grapefruit, basil, bergamot, and lavender in your bath or shower before the exam. I also really like peppermint oil for waking me up and boosting concentration. You can get something like this terra cotta necklace to make the scent available to you during the test. Another idea is to make a unique blend you’ve never used before and smell it as you study for that particular subject. Then bring that same blend with you to the test and use your olfactory superpowers to make connections in your brain. It’s kind of like how studying on your bed isn’t recommended because you’ll need to sit at a desk to take the test and you should therefore study in a seated position. I know, what a lame and generic tip. I’m serious though. As I mentioned before, late-night cramming will hurt you when you’re dozing off in the middle of the test. Plus, it’ll stress you out and the anxiety will make it hard to focus. Try your best to stick to a manageable study schedule, but if it’s just too late for that, just leave it be. I don’t want to call it “giving up”, but just realize that your time is best used now to focus on test-taking strategies, to relax, and to get your supplies ready. If tests are giving you trouble, I’d like to end this post by reminding you that your test scores don’t define you as a person. Hey, if you don’t do so well, is it really the end of the world? You’ll have a chance to do better next time. Don’t let a small setback change how you think of yourself. Practice mindfulness. Now that you're armed with healthy tips, go kick those scantrons' butts! Or as my biology teacher calls them - scamtrons (because they're expensive). What’s the most stressful test that you’ve ever had to take? For me it would be the AP World History test! Luckily it went well and I won't ever have to do that again :) Have an awesome Sunday!